Thu., Nov. 12, 2015, 12:18 a.m.
Ding! Renard Suggs checks his cellphone. He has a text waiting from one of the NFL’s most-feared linebackers. 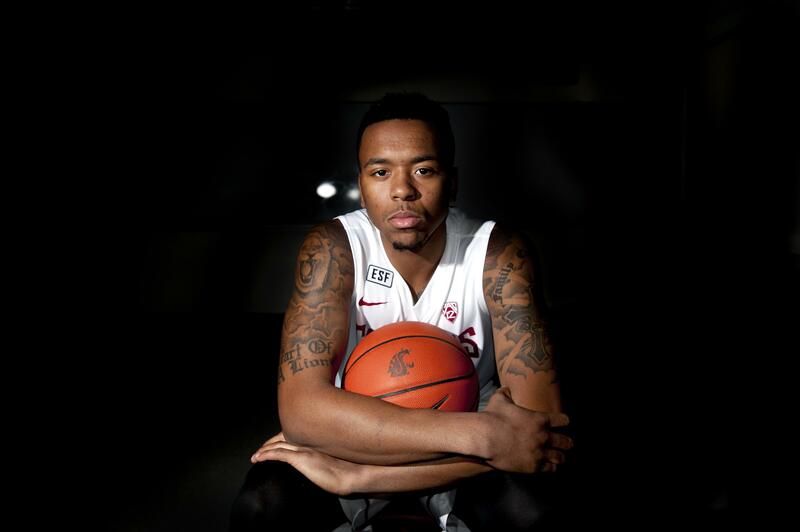 Suggs has just played in his first game at Washington State since transferring from Gillette College in Wyoming, an exhibition game against Lewis-Clark State, and Suggs, a shooter, didn’t shoot very well, making just 1 of 6 field-goal attempts. But afterward, he got a pick-me-up text from his cousin, 2011 NFL Defensive MVP Terrell Suggs. Suggs was WSU’s first sub off the bench in its second exhibition game, against Pacific (Oregon), and 14 seconds after touching the court he swished a 3-pointer. A minute later he made a layup and the next trip down the court he buried another 3. WSU’s junior guard gorged on 3-pointers, hitting his first four attempts, scoring 14 points in just four minutes. He showed the same capacity for busting open zone defenses that the Cougars relied on Lacy – the school’s all-time leader in made 3-pointers – for in previous years. Published: Nov. 12, 2015, 12:18 a.m.